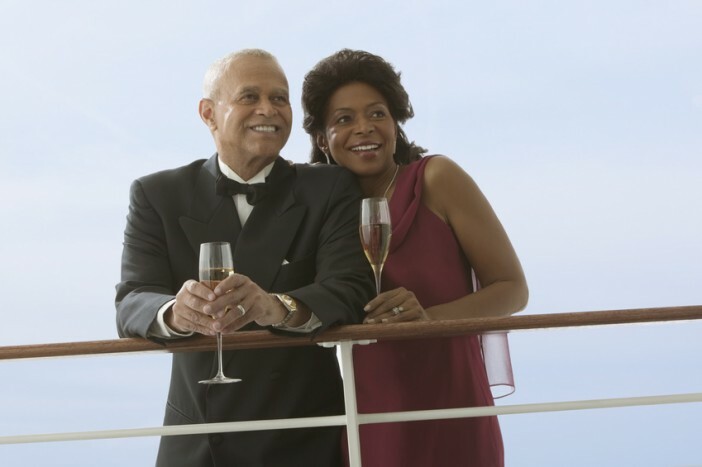 You are at:Home»Cruise Tips»What are the Best Cruise Lines for Couples? With a dedicated team waiting on your every whim, incredible dining choices and new cities to explore every day, it’s hardly surprising that cruise holidays have become the go-to romantic retreats for couples around the world. 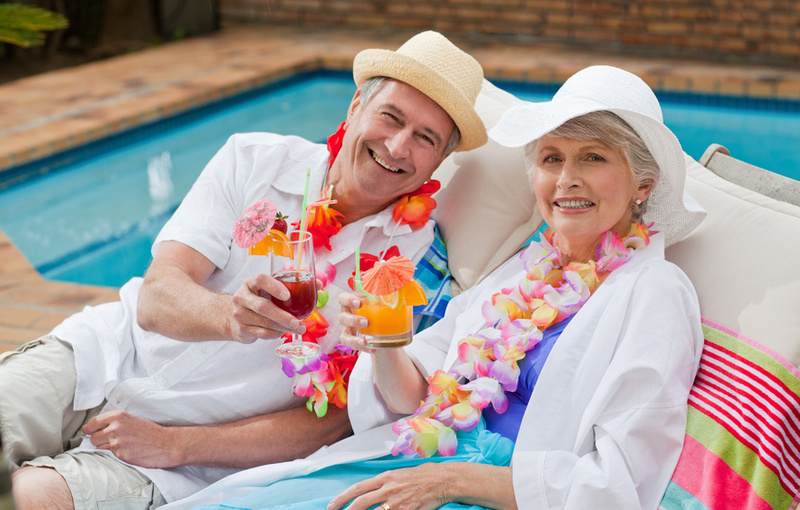 Affording the ultimate in luxury and escapology; a cruise holiday is ideal for couples looking to enjoy and celebrate their relationship, whilst reconnecting with their significant other. 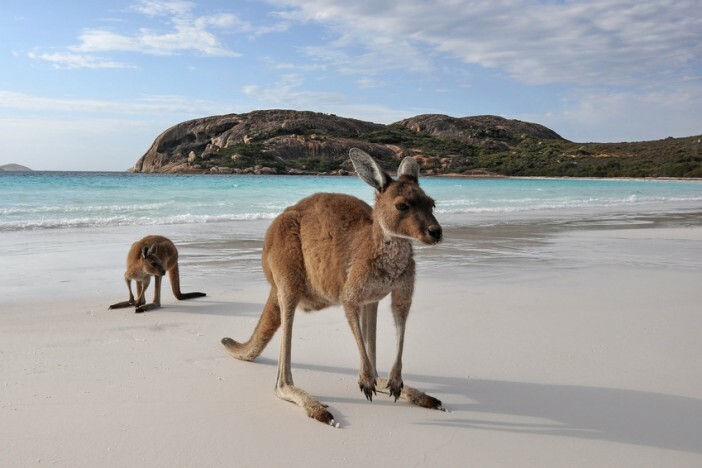 But with an endless list of cruise itineraries aboard ships from dozens of cruise lines travelling to every corner of the planet, how do you and your partner pick your perfect cruise trip? We’ve picked the three cruise lines we believe are perfect for couples booking a romantic and enriching retreat. Royal Caribbean may operate some of the world’s biggest cruise ships, but they understand the value of intimacy and privacy. Exceptional amenities are par for the course aboard the Royal Caribbean fleet, with a huge range of activities and luxury extras placed at the guests’ fingertips. It’s hardly surprising the larger members of the Royal Caribbean fleet play host to dining options few can match. A huge array of cuisines are freshly prepared aboard the ships of the Oasis and Quantum classes; from traditional Mexican dishes to experimental, multi-sensory cooking. Take your taste buds on an incredible journey in the Wonderland Imaginative Cuisine restaurant, found on Quantum of the Seas, Anthem of the Seas and Harmony of the Seas. The post-modern menu is split by element (wind, sea, ice, earth, fire and dreams) rather than course; providing a unique experience for you and your partner. A week cruising with Royal Caribbean is similar to seven date nights in a row, with an array of incredible shows and performances staged every night. Take your significant other to the breath-taking high-dive show one night, the beautiful ice skating spectacle the next and then onto an exhilarating performance of the classic musical, Grease, the next. 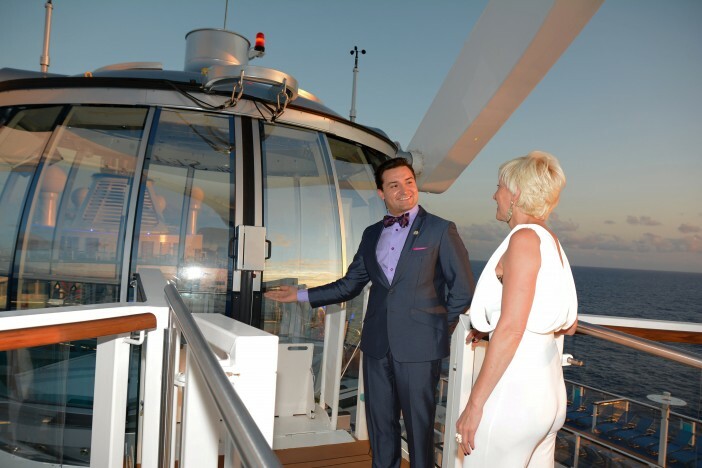 If you thought you’d done everything as a couple, you couldn’t be more wrong – Royal Caribbean can open your eyes to a world of new experiences, not least a ride in the amazing NorthStar Observation, providing incredible seascapes 300ft in the air. Many of Royal Caribbean ships guarantee that every stateroom has a view. Rooms positioned on the exterior of the ship enjoy sizeable balconies whilst the interior cabins are fitted with virtual balconies – meaning you and your partner can watch the world float by wherever you are placed on the ship. Royal Caribbean have tactfully positioned their ships all around the world – providing an exceptional list of excursions and port visit options. From the beautiful islands of the Caribbean, the culture-rich cities of the Mediterranean and the enigmatic nations of Asia, you and your partner can visit almost all your dream destinations with Royal Caribbean. Royal Caribbean offer an optional Romance Package which can be added to your trip. Perfect for honeymooners, choose this package and you’ll arrive at your stateroom to find truffles, a bottle of wine, and long-stemmed roses. Adventurous couples looking to explore the world together. Click here for the full selection of Royal Caribbean cruises from Cruise1st. As the setting for 70s and 80s US sitcom, The Love Boat, Princess Cruises has a long history of romance on the seas. Today’s offerings are no less romantic, with the fleet capably marrying big-ship amenities with small-ship cosiness. Princess Cruises’ dine like a local ethos makes it easier for guests to immerse themselves in the destinations visited. Whether you’re exploring the exotic port cities of southeast Asia or the wilderness of Alaska; you’ll find on-board dining options which reflect the culinary delights of the route you’re travelling. And for added romance, many Princess Cruises itineraries feature the Chocolate Journeys programme devised by master chocolatier Norman Love – so you and your partner can treat yourselves to freshly baked pastries and cookies, signature soufflés and decadent desserts, handmade gelato and more. There are few more romantic ways to spend an evening at sea than enjoying a classic film in Princess Cruises’ open-air Movies Under the Stars cinema. Available across the fleet, the cinema airs some of cinematic history’s favourite romance films – so cosy down with the one you love, wrap the provided blanket around the both of you and enjoy the show. Complimentary popcorn, warm cookies and milk are also provided during the film. Book into a Princess Cruises suite, and you’ll be treated to a couple-centric retreat full of decadent features and loving flourishes for the sophisticated pair. From the padded headboard for comfortable late-night chats and cosy breakfasts in beds to the two sinks in the bathroom, providing more space to beautify and get ready for another wonderful evening; the suites are perfect for the loved-up pair. So whether you and your partner are history buffs or adrenaline junkies, Princess Cruises will help find the perfect excursion for your needs. Looking to pop the question in a spectacular manner? Princess Cruises will allow you to record a video proposal which they will then air on the Movies Under the Stars screen as part of the amazing Engagement Under the Stars package. This package includes free champagne, chocolates, breakfast in bed, photo shoots and much more. Loved-up couples looking for a romantic getaway. Click here for the full selection of Princess Cruises holidays from Cruise1st. The grand dame of cruising, Cunard conducts everything with sophistication. From the culinary delights and the show-stopping entertainment to the enriching excursions, everything aboard a Cunard cruise is executed in a considered manner to evoke the golden age of cruising. Cunard pitch their dining offerings as ‘food for thought and sparkling conversations’, perfect for those enjoying a romantic meal as part of a well-earned break for two. Alongside the main dining rooms, Cunard’s flagship, QM2, offers two speciality restaurants which are often quieter and the atmosphere more intimate. The Verandah Restaurant offers contemporary French cuisine using seasonal ingredients. Decked with timeless elegance, the ship draws inspiration from the Verandah Grill aboard the original Queen Mary which sailed from 1936 to 1967. Music, dancing and the theatre are all central to the entertainment aboard the Cunard ships, with a selection of shows and musical nights to be enjoyed. Pack your fineries and show off your foxtrot aboard the Cunard line to the backbeat of wonderfully-performed romantic music. With personal butlers reserved for certain accommodation classes aboard the Cunard fleet, your stateroom can become the centre of romantic luxury and decadence during a stay on the seas. With all staterooms and suites completed to the divine standards you’d expect from Cunard, the fleet is designed for couples of all ages. Cunard is well regarded for their round-the-world cruises, stopping at every corner of the globe across a multi-month itinerary. If you and your partner always vowed to see more of the world, is there a finer way than aboard a Cunard cruise ship? Or if you don’t have a few months to spare for a trip with the other half, Cunard’s Transatlantic cruises from Southampton to New York are always popular. Transporting you to the amazing Big Apple in the lap of luxury. Cunard’s wine cellars are amongst the most comprehensive and carefully-stocked on the seas. 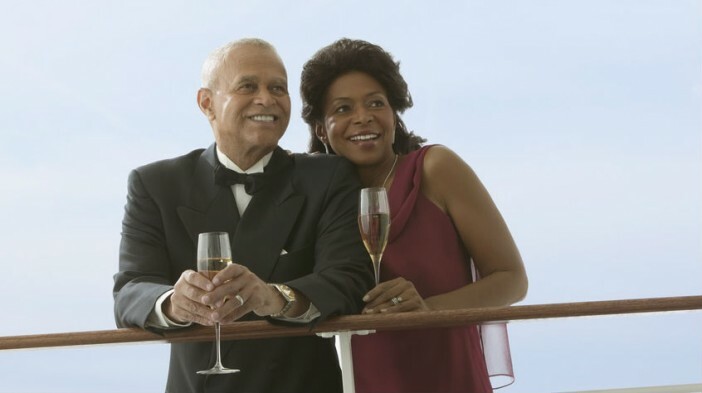 Ask about a wine package and you and your partner could soon be sharing a delightful, rare vintage at the end of another romantic night at sea. Couples celebrating a special milestone or anniversary. Click here for the full selection of Cunard cruises from Cruise1st. For the full range of cruise options from Cruise1st, head over to our homepage, or call our friendly sales team on 0808 274 6777 and we’ll find the romantic cruise for you and your other half. What are the Best Cruises for Couples? We look at the best cruise lines, ships and extras for couples looking to book an extra-special journey.